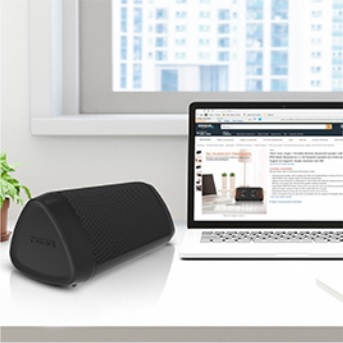 Powerful sound quality with an output of 2*5W makes these portable Bluetooth speakers an epitome of power. 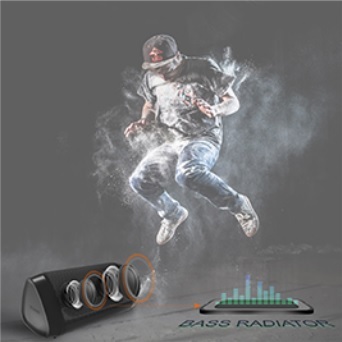 Unmatched Bass, courtesy of the new age 50mm*80mm bass radiator makes these Wireless Bluetooth speakers of frontline engineering. Supports dual connection via Bluetooth 4.2 and 3.5mm AUX cable for wireless/wired usage. 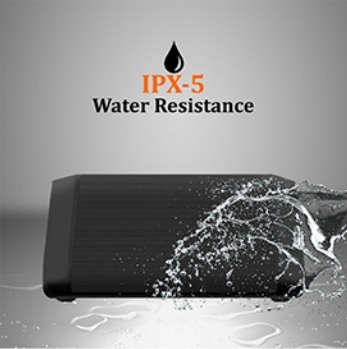 IPX-5 splash and water resistance provides these Portable wireless Bluetooth Speakers unbeatable ease of usage. Built in microphone lets you take calls conveniently and also supports Siri/Google assistant. Powerful sound quality with an output of 2*5W and unmatched bass, courtesy of the new age 50mm*80mm bass radiator makes it of frontline engineering.Supports dual connection via Bluetooth 4.2 and 3.5mm AUX cable for wireless/wired usage so that you can connect your device to the speaker anytime, anywhere.Unparalleled 2200 mAh battery backup lets you enjoy the music upto 8 hours along with IPX-5 splash and water resistance that provides unbeatable ease of usage. Tagg Sonic Angle-1 boasts of a new age curved triangular design that is one of a kind. The innovative design makes it complement any living space it is placed in and emulates a modern charm that elevates its innate class. 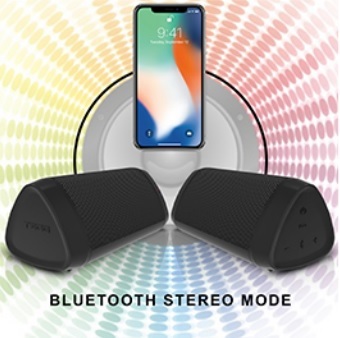 Features weatherproof IPX5 construc- tion that makes your sonic angle 1 Blue- tooth speaker splash and water resistant so that you can easily enjoy your favorite songs while being on the move. Listening to songs without worrying about minor water spill makes your life style more carefree. Apart from having an amazingly loud sound quality, Tagg Sonic Angle 1 comes with a 50mm*80mm bass radiator that elevates its built-in bass and makes even the simplest songs played with powerful bass. This ultra- modern feature perfectly complements our agenda of keeping you ahead. 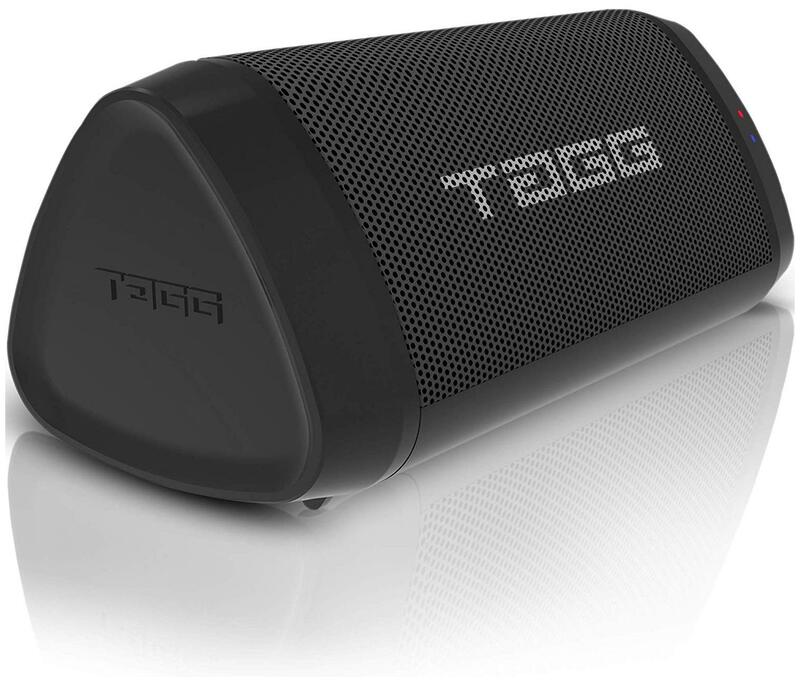 TAGG Sonic Angle 1 comes with a unique wireless stereo mode that lets you connect two speakers together that elevates not just sound but the overall music listening experi- ence as well. Pairing the speakers together and playing as per your choice is all you need to do. Tagg Sonic Angle 1 comes with a power packed 2200mAh battery that lets you play music for up to 8 hours that roughly transpires to more than 100 songs in a single charge. 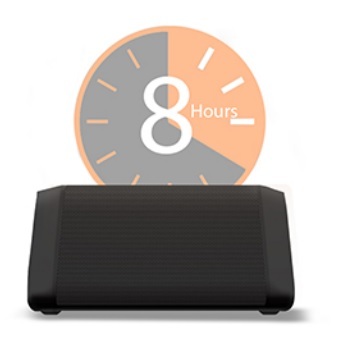 This ensures that you never run out of charge and gives you the control of whenever you want to listen to music.